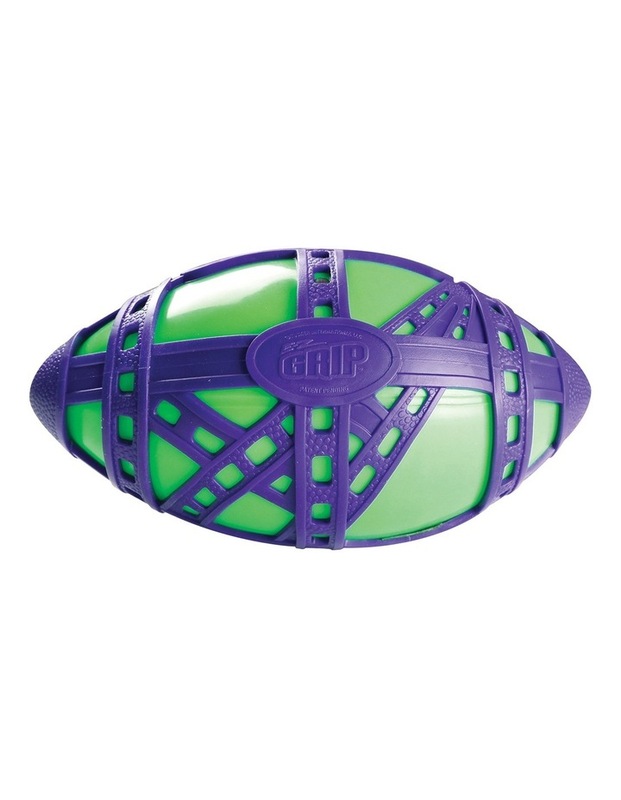 E-Z Grip Football Assorted Colours. This is an assortment. You will be sent one of the products from the assortment (styles & colours vary) and one only chosen by our fulfilment team. 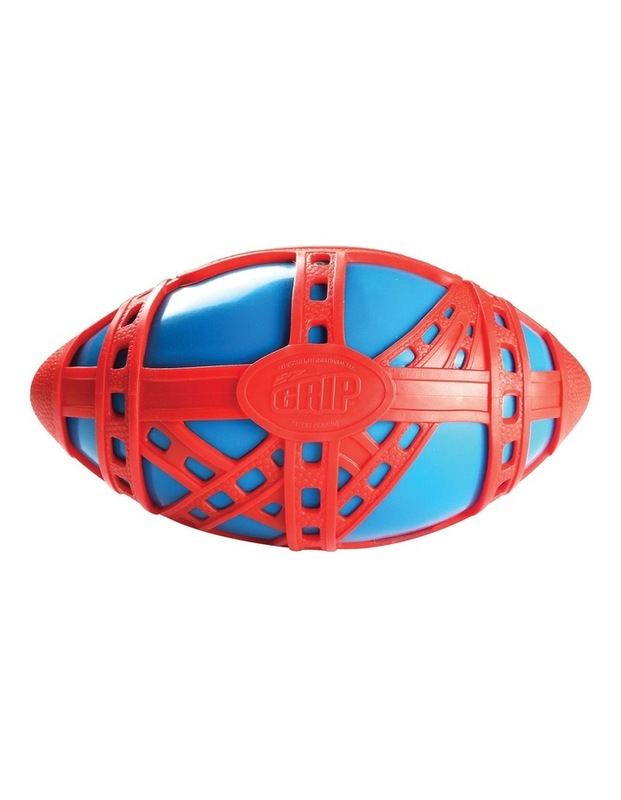 The Tucker E-Z Grip Football boasts fantastic grip and ultra-high bounce. 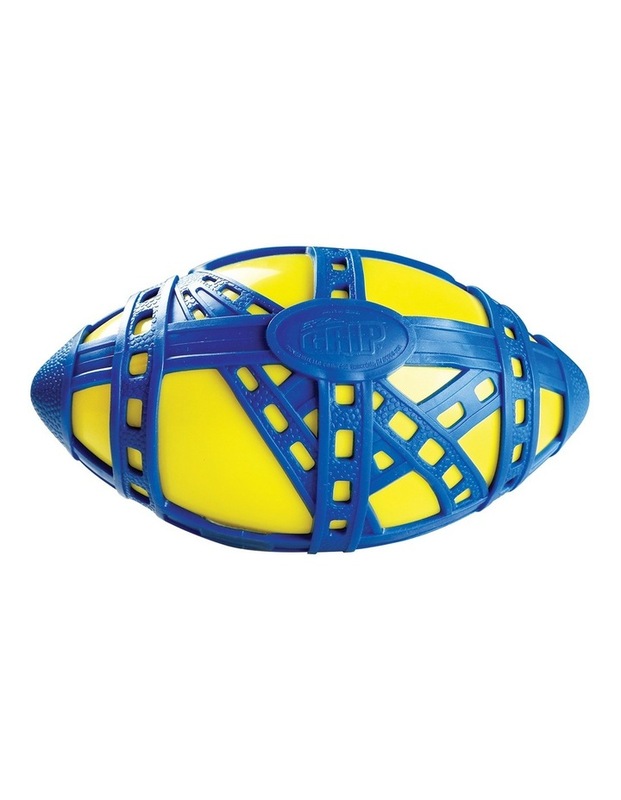 This football features an inflatable inner ball for massive bounce, coupled with a soft and stretchy but tough and durable outer web for extra grip. Big and little kids will pass and punt with ease and confidence.